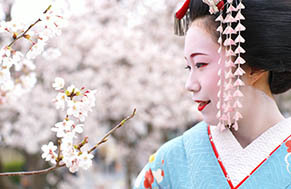 The Japanese spring is synonymous with cherry blossoms. 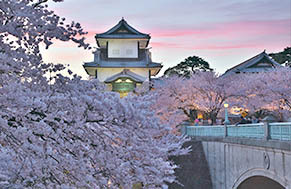 Hanami, or cherry blossom viewing, can only be enjoyed for a short period in spring and is a treasured part of Japanese culture. 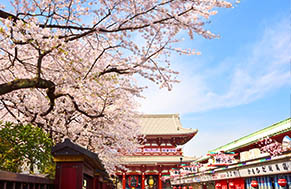 Go on your own hanami trip in Japan and enjoy a wide variety of breathtaking blossoms. 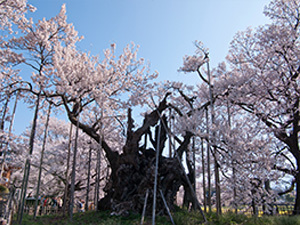 A 2000-year old cherry tree, the oldest in Japan. ※Normally this is the best time to see the flowers. However, there can be drastic differences in blooming season depending on that year's weather patterns. 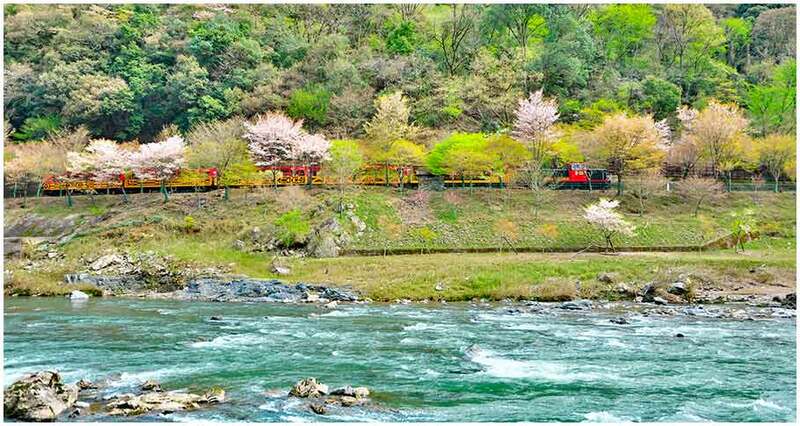 In 2018 Kyoto cherry blossoms are forecast to open on March 25 (Best Viewing: March 31 to April 08). 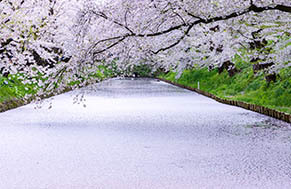 The most popular spots are considered to be the Philosophers Path, Maruyama Park and the Heian Shrine among the others. 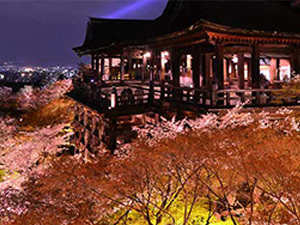 For more spots recommendations visit our Kyoto Cherry Blossoms review page. 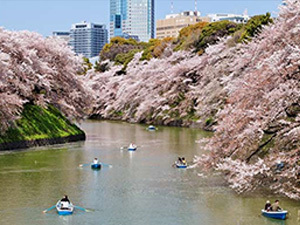 Tokyo cherry blossoms are forecated to open on the March 22 (Best viewing March 29 to April 6) For the early visitors we recommend Shinjuku Gyoen, where you can already spot some trees in full bloom in mid March. 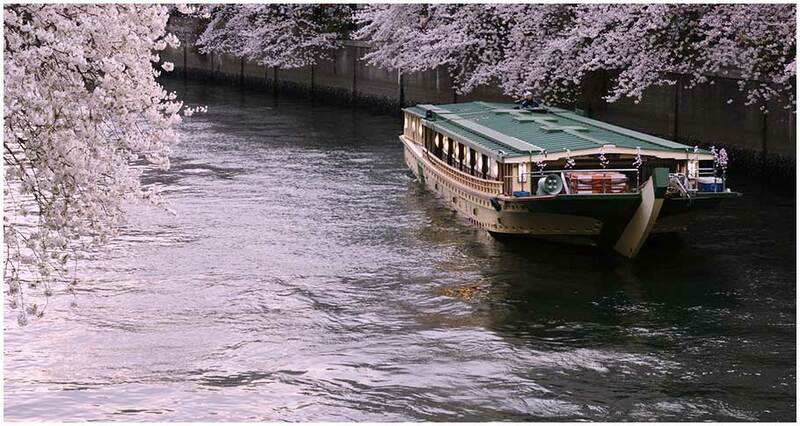 For spots recommendations visit our Tokyo Cherry Blossoms review page. 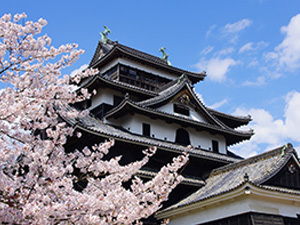 Hirosaki is a castle town in Aomori, loved in the spring season for its magical cherry blossoms forming tunnels and cherry petals filled moats around the Hirosaki Castle. Expected to bloom late April to beginning of May. 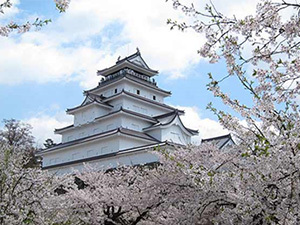 For more viewing spots in Tohoku visit our Tohoku Cherry Blossoms review page. 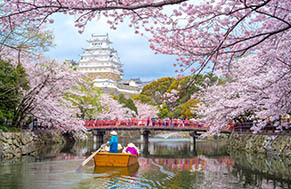 Some 1,000 cherry blossom trees surround the all white Himeji Castle (designated both as a national treasure and a UNESCO world heritage site), covering it with white and pink and creating a breathtaking views. 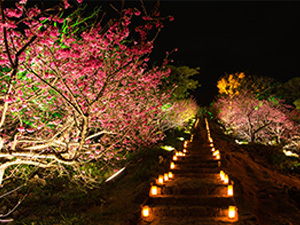 During the full bloom visitors are able to visit Nishi-no-Maru garden at night to watch floodlit cherry blossoms. One of the most scenic, and most loved by foreigners views awaits visitors here. 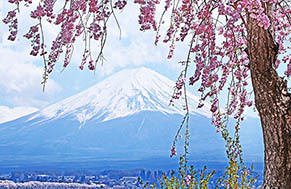 The view of Mt Fuji with still snow convered peak, behind the white and pink brunches of cherry blossom trees. The Northern and Eastern Shores of Kawaguchiko lake, Chureito Pagoda and Ubuyagasaki area are especially recommended to visit. Cherry blossoms in Kanazawa overflow from the Kenrokuen (one of Japan's most popular traditional style gardens) to the Kanazawa castle ruins and the road leading from the Kenrokuen to the town's center, Korinbo area. The forecast for the blossoms to open is currently for April 2nd, with best viewing expected to be from April 6th to 14th. 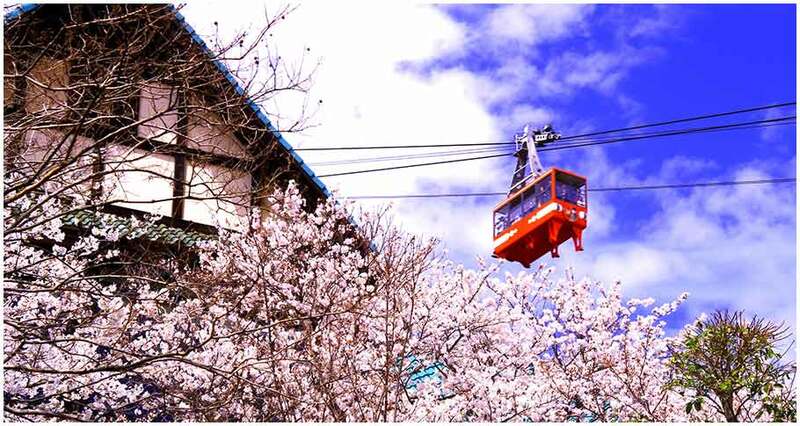 Enjoy cherry blossoms from inside a trolley car. 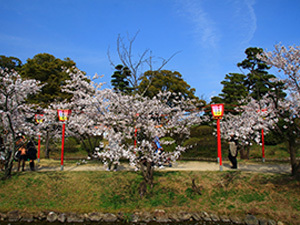 Enjoy a cherry blossom panorama. 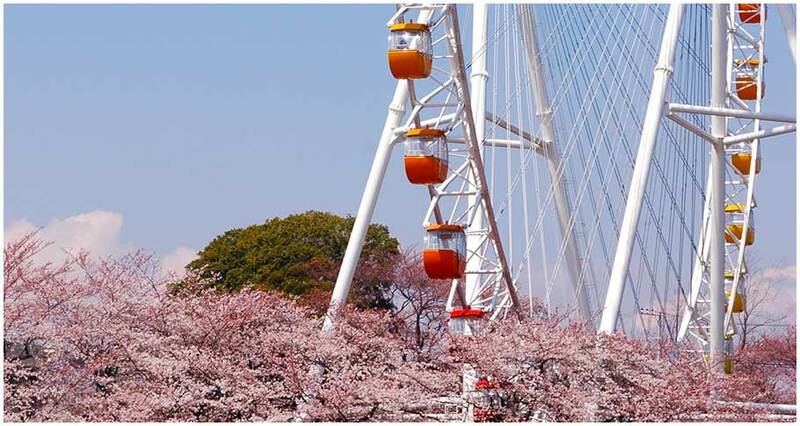 Enjoy the cherry blossoms in the park while riding on a roller coaster or ferris wheel. Access: A 10-minute gondola 「sky shuttle」 ride from Keio「Yomiuri」Station on the Keio line.